approx. 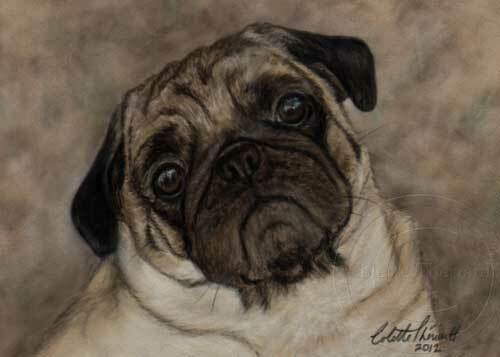 size: 7" x 5"
The pug is a breed which originated from China. The coat color is most commonly fawn but can also be black, silver, apricot, brindle and very rarely white.